Uplifting flyers inspire elevated ticket sales. High-altitude adventure awaits in Denver, Colorado, and you can share your great expectations for your next mountain event with a Denver Flier. 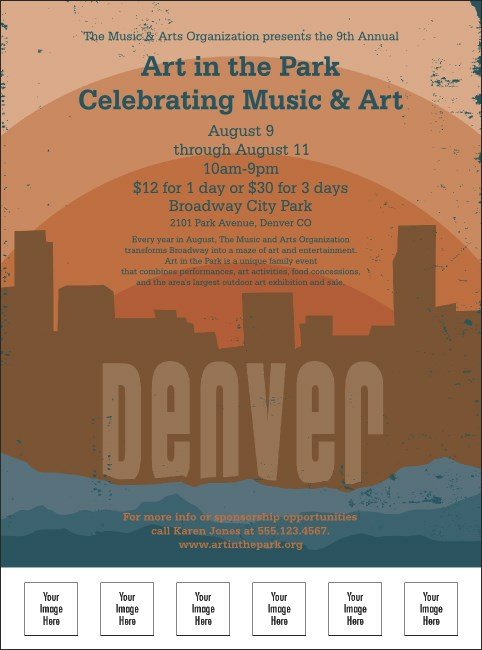 In sun-fired earth tones, this flyer depicts the city at the foot of the Rocky Mountains silhouetted against the breaking dawn . Ascend to great heights with professional service from TicketPrinting.com.